At first glance you may think that the Pop Quiz collection has a limited use. Take a second to think about it, even if you aren't in "school" we are all students, learning something new every day! 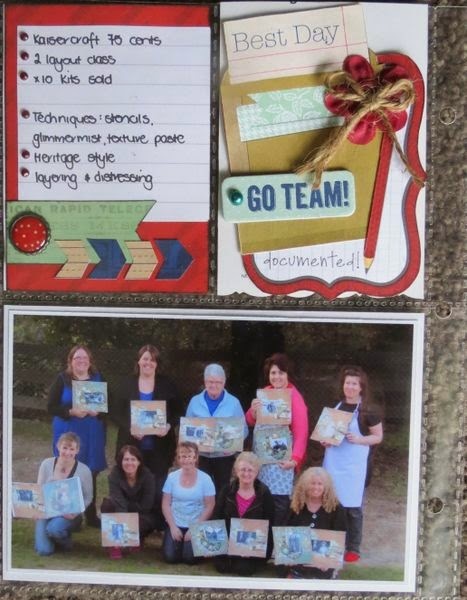 Enjoy Megan's Pop Quiz Misc Me she created of the scrappy classes she has taken and taught! The one thing I love about Misc Me is the versatility it allows you to have. 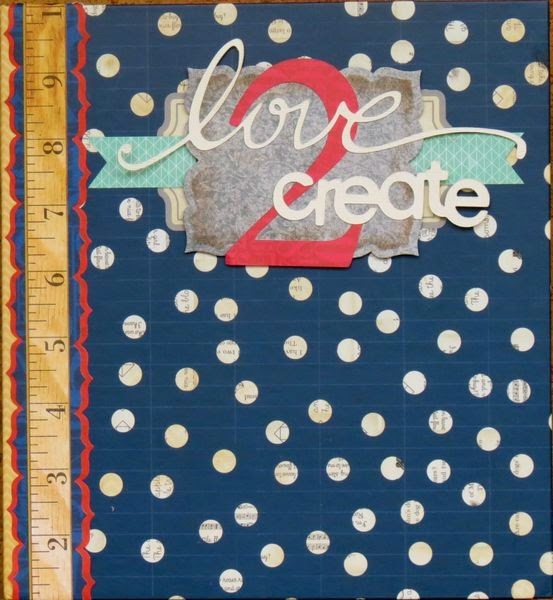 I received Pop Quiz to create with and with no children and very few photos of me or my husband at school I wondered what I would do with it. Then I thought about the theme of the whole collection, namely learning and teaching, and I realized it was perfect for documenting the classes that I have taught here in New Zealand, and the classes that I have been a student at; all because I love to create. 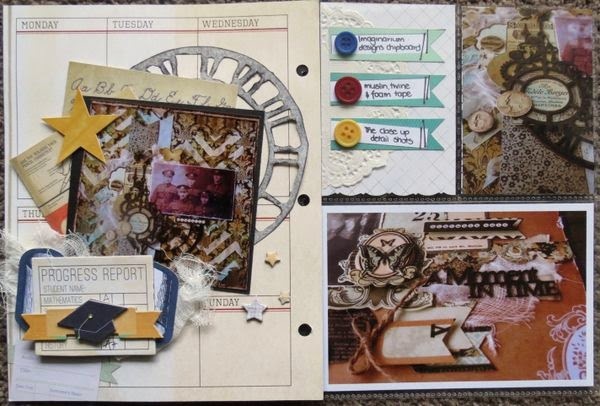 Here I've used parts of the Calendar pack as my base and then layered papers from the 6x6 pad on top. 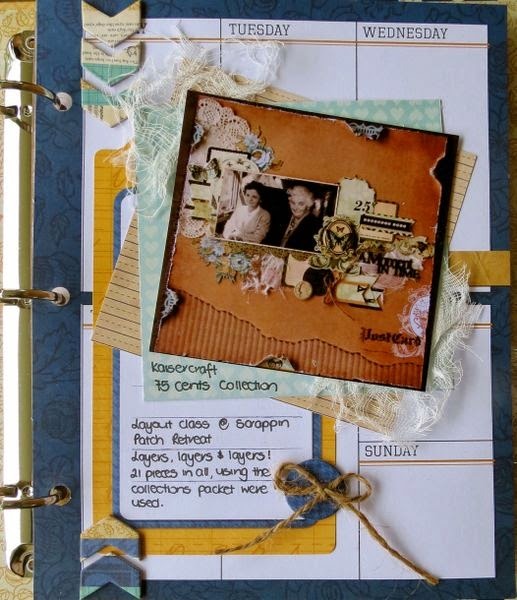 I've also used the Noteworthy pack to create another layer as well as using it for journalling. I also wanted to incorporate something used in the class, hence the twine and muslin which ties it all together. Using the Calendar pack allows me to create depth without having the restriction of using a pocket page, where it would need to be quite a flat page. The pocket pages allow for journaling about the techniques I've taught and to include photos of the close ups and class attendees. Such a fun bunch of girls to teach. I've used different bits and bobs from the collections to decorate my 3x4 cards - I even used the packaging! When one studies the issue at hand, i have to agree with your conclusions. You understandably show cognition about this subject and i have much to learn after reading your post.Lots of salutations and i will come back for any further updates. This is awesome! Such a great way to use Misc Me! Amazing album!! What a creative way to showcase your classes. Love it!